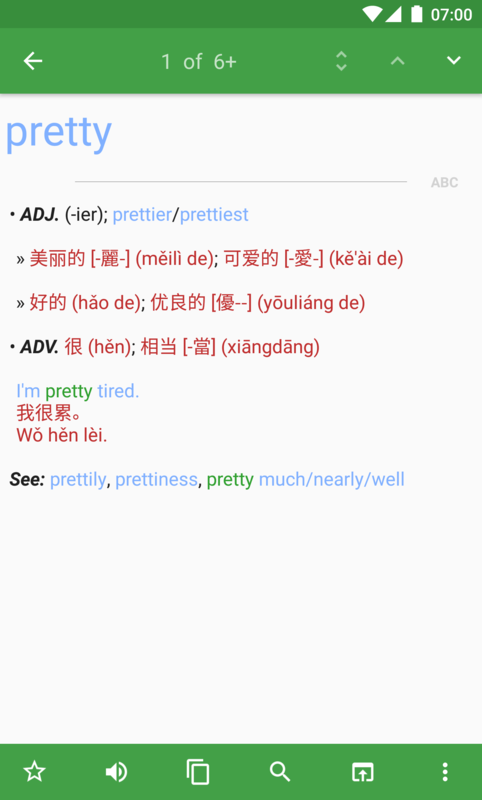 Hanping Chinese Dictionary Pro now supports in-app purchases for the excellent ABC Chinese-English and ABC English-Chinese dictionaries. These provide very useful example sentences as well as grammatical information one would expect from a professional dictionary. 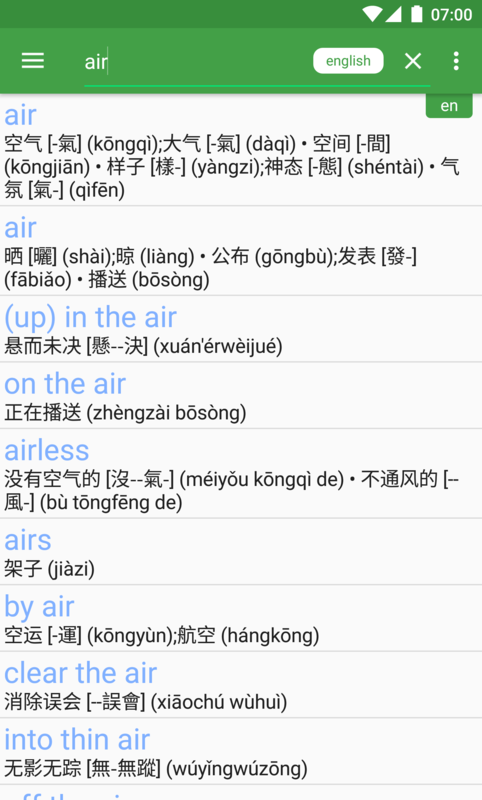 Furthermore, they include both Simplified & Traditional characters as well as Pinyin/Zhuyin pronunciation. Both of these dictionaries are intelligently integrated into Hanping Pro. For example, when you search for a Chinese word, Hanping will search the ABC Chinese-English & CC-CEDICT dictionary, and then merge the results (filtering out duplicates). No need to cycle through dictionaries, because Hanping does all the hard work for you! Also, when you do sentence decomposition (i.e. 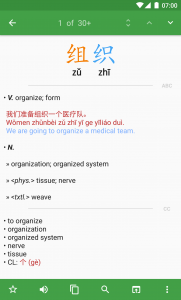 pasting longer Chinese text into the search box), Hanping will break the text down into words by using all of your Chinese dictionaries (not just one). 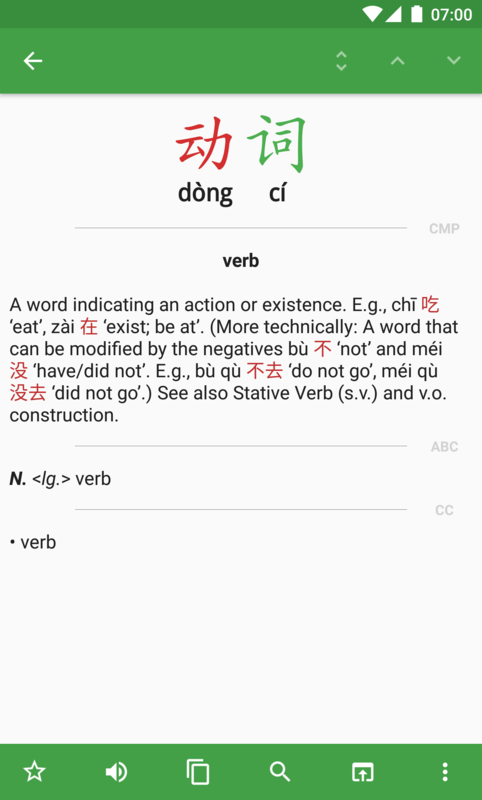 This is important because even though there are twice as many words in ABC Chinese-English as CC-CEDICT, the latter still contains some words not in ABC. We will be adding more functionality in the near future to make these dictionaries even more useful! 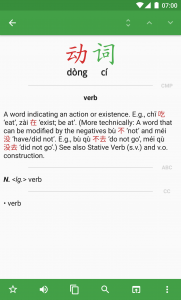 Purchasing the ABC dictionaries is done from within the Hanping Pro app. From the main search screen, press the Menu button and select the Buy option. Because purchases are made through the Google Play Store, the same issues regarding China/Taiwan exist. Generally this is overcome by making a sim swap. Please read this for more info. Once you have purchased an ABC dictionary, it will be forever tied to your Google account. This means, if you have multiple devices (maybe a smartphone and a tablet) all running Google Play Store and all logged into using your Google account, then all will be able to use that ABC dictionary. At the moment, the ABC dictionaries are not available to non-Google Play devices (such as the Kindle Fire), but we are looking to improve on this in future. Please read this for details of all the abbreviations used within the ABC dictionaries. 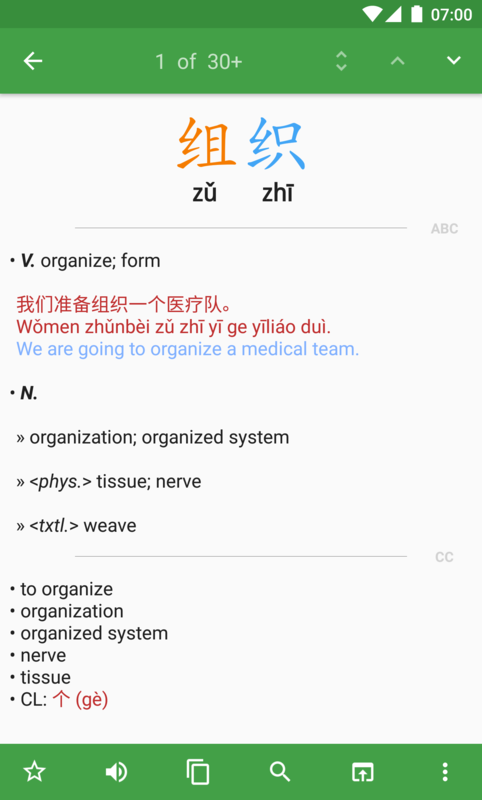 This dictionary has about twice as many Chinese headwords as the built-in CC-CEDICT dictionary. 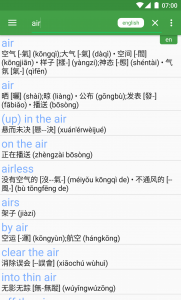 It is particularly useful if you want to know how to use Chinese words, rather than just get an idea of their meaning. This dictionary is also available from Amazon in hardback and flexibound (concise edition) . This dictionary makes a huge difference if you often search for English words. The problem with the built-in CC-CEDICT dictionary is that the English index is auto-generated from the definitions. Therefore, many not-so-well-known English terms are missing. 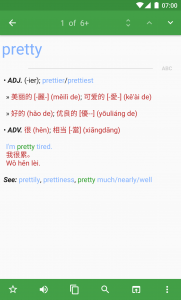 ABC English-Chinese Dictionary changes all that because it’s primary index is English! As an example, searching for the word ‘vintage’ yields no results with CC-CEDICT, but three results (‘vintage’, ‘vintages’ and ‘vintage car’) with the ABC English-Chinese dictionary.